Television's most ghoulish and fun family have got themselves a "Munster Truck"! This Chevy 4x4 monster truck is a car-crushing classic. 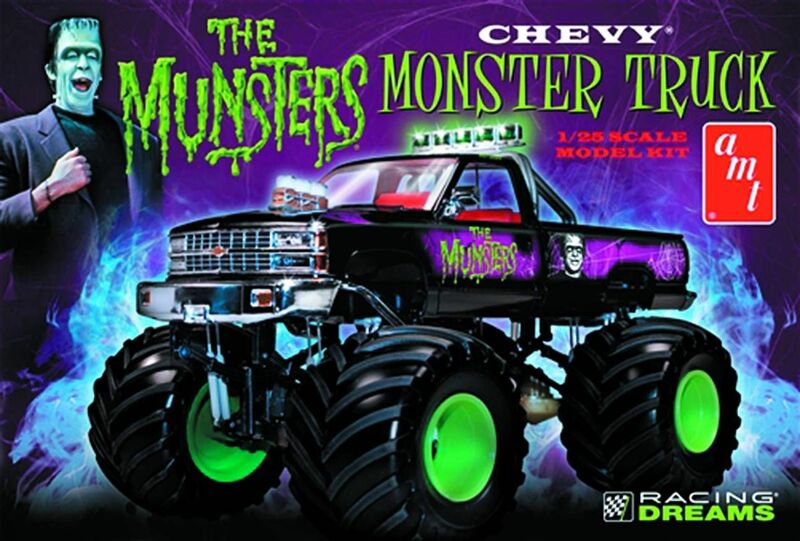 It features a big blown motor, super-size wheels and tires, and comes with a decal sheet featuring Munsters graphics. At 1/25-scale, the truck is molded in white, and paint and cement are required to complete.